MUFF WIGGLER :: View topic - Why no more sh-101 Oakley mods? Why no more sh-101 Oakley mods? also, I s the nova mod pretty close? Why no more? Well I don't do repair and service work these days. Is the nova mod pretty close? It came after I started doing mods to SH-101 but it is similar. It did add some things like an extra envelope generator, and did things differently in other places, but I felt the full set of Nova Mods tended to make the SH-101 overly complex and the beauty in the 101 is its simplicity. Each Oakley modded SH-101, or any other machine in fact - it wasn't just 101s, was different. Partly because the user requested different things but also because I changed things over the years. I guess the 101 became more well known because a certain someone used it. Although, with that particular one, he bought his already modded from my original client. I don't see the appeal of doing large mods to the SH101 - it's simplicity is what makes it charming. I am tempted to put in a VCF CV input, but apart from that I'd rather keep it vanilla. This added filter FM from two sources. Additional triangle wave VCO output sent to either the VCF input or the VCA input. And filter mode between -6dB and -24dB. I did normally add labels to the extra controls - not quite sure why this one didn't. I added an audio input to the mc-202 filter. And it sounded lovely. Long time ago. Im all for complicating something That said. 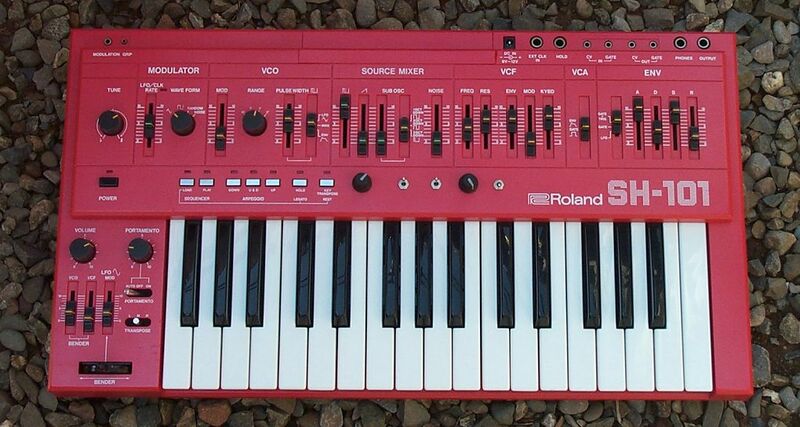 Id never mod my 303.